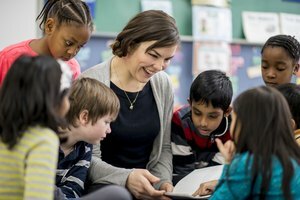 What Is a Subject-Centered Approach to Teaching? Improve curriculums with input from educators implementing the lessons in classrooms. When people think about school curriculum, they tend to think about lesson plans. Lesson plans should be used as a guide on how to deliver the curriculum that has been developed. However, before a lesson plan can be developed, many other steps must be taken to design a sound curriculum including designing courses appropriate for each grade level. 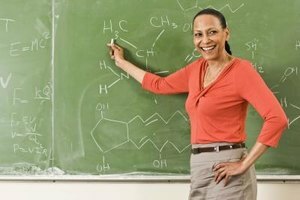 Creating a curriculum can be challenging work especially for a new instructor. Curriculum is rarely developed for a whole school or even an entire grade level. Instead, curriculum building is usually done on a by-subject basis and then focused on a particular grade level within that subject. Identify the learning objectives. This is the most important step in the curriculum writing process because your student's performance will ultimately reflect the objectives you set for your students. Use Bloom's taxonomy as a guide. Bloom's Taxonomy is a hierarchical model of learning objectives that can help you build your lesson plan. If you are teaching Newton's law of gravity, for example, state whether you want your students to simply know the law or if you expect them to be able to apply the law to certain problems. For example, "Apply Newton's law of gravity to elementary physics problems." Define how the student should be able to illustrate his achievement of the learning objective. A student can demonstrate that he has obtained the objective in many ways. Whether students are answering questions on a test, writing a report, performing experiments or reciting data, you must have a standard to compare against. Otherwise, it will be impossible to determine whether or not the student has reached the objective. For example, "Given an elementary physics problem, solve it using Newton's law of gravity." Write test questions and assignment guidelines based on how the student is expected to demonstrate her learning. Each assignment or test question should be designed to allow the student the opportunity to demonstrate her learning. If it does not, the student will correctly see it as mere busywork. For example, develop a word problem or a lab experiment requiring Newton's law of gravity. Write the lesson plans around the assignments and test questions. 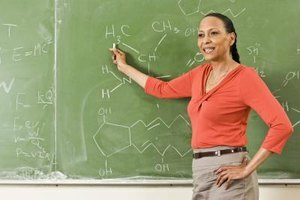 The lesson plan should be designed to steer the student toward the learning objective. It should also incorporate the assignments already developed. Teachers should have the freedom to alter or customize the lesson plan based on their students' learning needs. In that respect, a lesson plan should be a guideline rather than a script. Ask teachers who work in the classroom to review the curriculum you've written, and listen to their feedback. They are the ones who regularly implement curriculum in the classroom and they'll know what's necessary to make a new curriculum work. 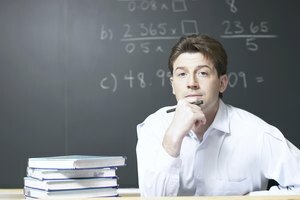 Revise the curriculum on a regular basis to incorporate new information, ideas and techniques. Only revise the objectives if an error has been made or the focus of the course has changed. Adjust everything else according to sound input from the teachers who are actively presenting the material. What Is the Difference Between a Checklist & a Rubric? D., Grant. "How to Write School Curriculum." Synonym, https://classroom.synonym.com/write-school-curriculum-4885195.html. 31 July 2018.